Raymour & Flanigan Furniture sells home furnishings online and has stores in New York, New Jersey, Pennsylvania, Delaware, Connecticut and Massachusetts. 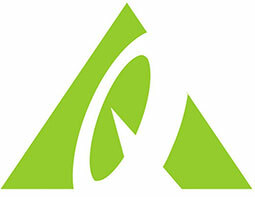 Website features an online catalog, room planner, and store locator. Raymour & Flanigan: Get $300 off Bellanest queen mattress sets. Raymour & Flanigan: Get 50% off Tempur-Pedic mattresses. Raymour & Flanigan: No coupon code needed. Tap to shop the sale now. Raymour & Flanigan: Tap offer to copy the coupon code. Remember to paste code when you check out. Online only. 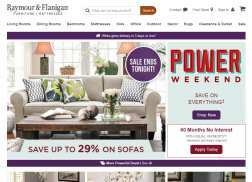 Raymour & Flanigan: Get $100 off any order over $1,000. Raymour & Flanigan: Get Up to 20% Off Industrial Revolution. Raymour & Flanigan: Get Up to $300 off King Koil Queen mattress sets. Raymour & Flanigan: Get Up to $1000 off Aireloom Mattress sets. Raymour & Flanigan: Customer Appreciation Sale! Get Free 55 inch TV with select mattress purchase. Offer expire 01/21/2019 at 9:00 pm in stores. Raymour & Flanigan: Get 25% Off All Accessories.